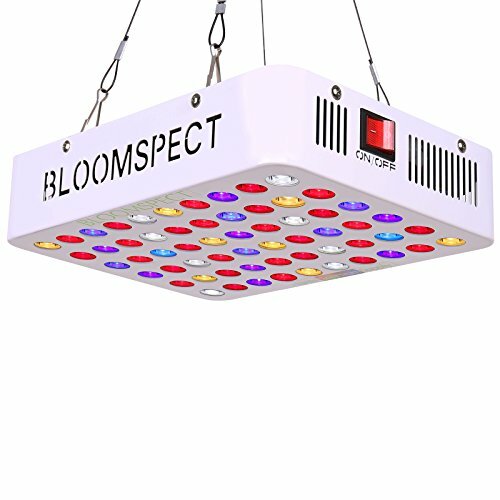 You won't need the sun with this high powered competitively priced 300W LED grow light that help keep any of your indoor gardening and hydroponics plants healthy and strong. The BS300 is suitable for all stages of plant growth, flowering and fruiting. It provides your plants with just the optimal amount of blue, red, and white full spectrum at each stage of their growth cycle while producing bigger flowers and developing the natural appearance of your harvest. Dimensions: 11.8" x 8.3" x 2.4"
BS300 to replace a 250W HPS/MH but only consumes 130W of electricity. Perfect to cover a 3 by 3-foot veg area, or 2 by 2-foot flowering area. 1 year warranty plus 30 days money back guarantee.